A week from now the Super Bowl of the NHRA -- the Chevrolet Performance U.S. Nationals -- will be roaring with activity at Lucas Oil Raceway in Brownsburg, Indiana! And when the crown jewel of drag racing arrives in Hendricks County, there will be a whole slew of drivers in a whole slew of categories to watch. Two of them in particular have caught my eye, though: Brittany Force and Courtney Force. Does the last name sound familiar? That&apos;s because they are the daughters of NHRA racing legend John Force. I have two daughters of my own, and my wife and I like to teach them they can do anything they set their minds to in life. So when a racing legend like John Force teaches the same lessons to his girls, I notice. Let&apos;s start with Brittany. 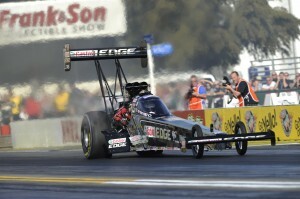 The 27-year-old is an educated woman, holding the typical degree you&apos;d expect from a drag racer: a B.A. from Cal State-Fullerton in English, with teaching credentials to boot. Wait...what?! It&apos;s very simple -- Brittany wants a back-up plan in case anything changes in her racing career somewhere down the line. If she decides that she&apos;s done with racing, she has teaching in her back pocket. I like the way she thinks! She also pursued a master&apos;s degree in automotive high performance. Now that sounds more like a drag racer! After she completed her education, Brittany raced Super Comp dragsters for three years before moving up to Top Alcohol Dragster, where she was the No. 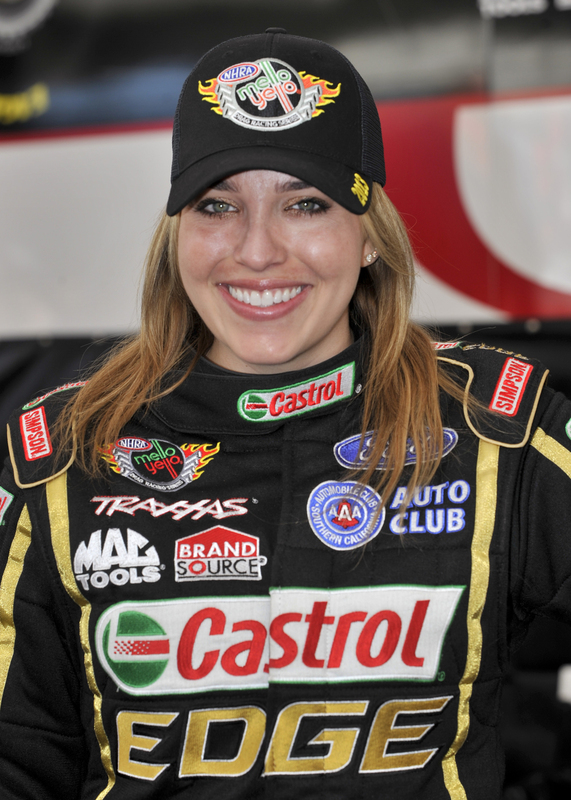 1 qualifier at the 2009 SuperNationals at Englishtown, N.J., and at the 2010 O’Reilly Winternationals at Auto Club Raceway at Pomona, Calif. She spent 2012 testing in a Top Fuel dragster before launching her professional career this season. She currently sits among the top 15 drivers in the standings as she rolls her black John Force Racing Castrol EDGE Top Fuel dragster up to the start line at Lucas Oil Raceway. The second of John&apos;s four daughters, Brittany is the only Force family member to drive anything but a Funny Car. Brittany is her own person. My youngest daughter, especially, would really identify with that quality in her. Brittany&apos;s 25-year-old sister, Courtney, is also a Force to be reckoned with. She, too, is an educated woman, holding a bachelor&apos;s degree in Communications from Cal State-Fullerton (kudos to John and Laurie Force for ensuring that their daughters get college degrees before they start racing). Courtney, like her dad, prefers racing a Funny Car. 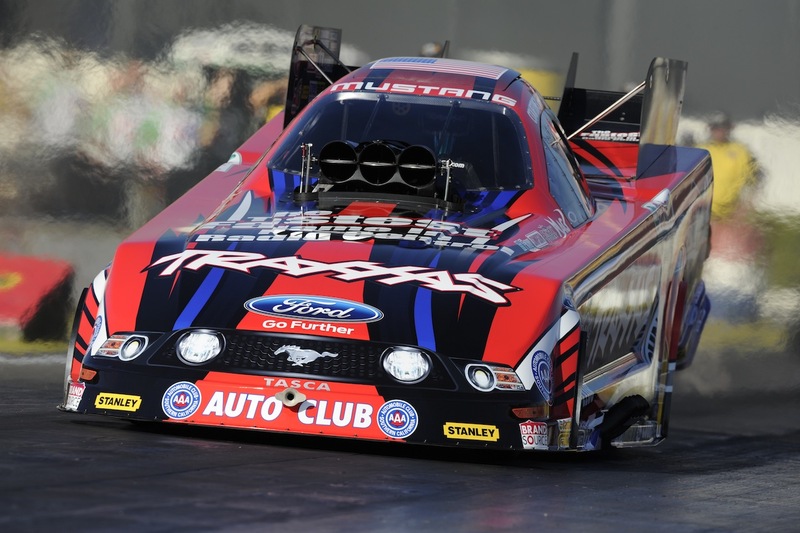 In just her second season of Funny Car racing, John&apos;s youngest daughter pilots the red, black and blue John Force Racing Traxxas Ford Mustang and has already clinched a playoff berth in the Mello Yello Drag Racing Series, sitting in sixth place in the standings, just 15 points behind her dad. She has already won twice this season and has spent time atop the points standings. 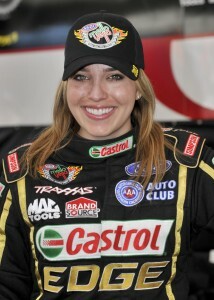 She took the Funny Car world by storm last year during her rookie season, winning in Seattle. When she was at Lucas Oil Raceway last summer for NHRA U.S. Nationals, she earned the No. 1 qualifying position. This young lady is good! My oldest daughter, who loves to win, would be enchanted by Courtney Force. (Oh, and Courtney was also recently on the cover of ESPN the Magazine&apos;s "The Body Issue.") So make sure to visit Hendricks County for the NHRA Chevrolet Performance U.S. Nationals at Lucas Oil Raceway from Aug. 28 through Sept. 2. Just by reading this insider blog post you can get a special discount on tickets by clicking on this link and choosing the day or days you would like to attend. If you are still looking for a hotel room, we can help you with that, too, by calling Visit Hendricks County at (800) 321-9666. While you&apos;re there, keep your eyes peeled for these two talented young Force women who are leading the next generation of drag racing and showing little girls everywhere that they can accomplish anything they put their minds to.